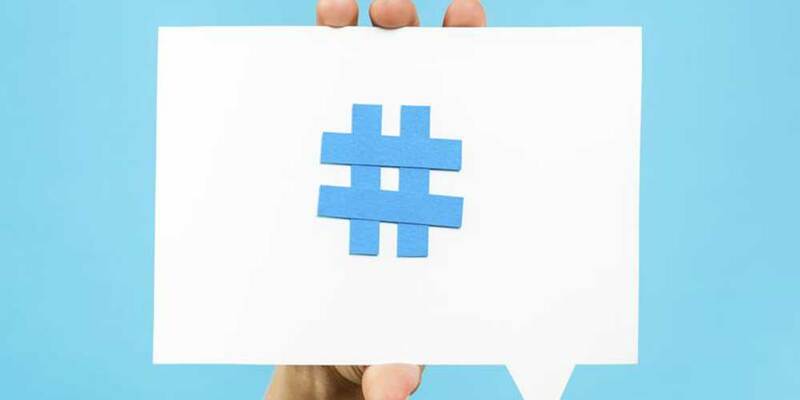 A hashtag represents the theme or subject of your content. With the pound sign (#) in front of a word, it becomes a hyperlink. The hyperlink leads to a new page of search results, listed other people who have used this hashtag. Everyone who uses the same hashtag is having a conversation about this subject. When you use a hashtag, you are adding your content to the conversation. Hashtags tag and categorize your content so that you and your idea customers can find it easily. Sprinkle them around like chia seeds… and they will germinate to grow your following! Put them in your posts and stories on Instagram, Facebook, and Twitter. Basically use them everywhere - all the time - but sparingly. Standard usage is 2-3 on Twitter, 1-5 on Facebook, and limited to under 30 on Instagram. Blend your hashtags like you blend your bronzer - it’s obviously there, but it shouldn’t be the focus on your face. You have two options for hashtag placement, in-line or at the end of your post. Hashtags as part of the sentence is essential for Twitter’s character limit, and great for all platforms. Keeping all the hashtags for after the post works well for Facebook or Instagram to keep your post looking clean. On Instagram, you have a 3rd option to put hashtags in the comment section of your post. When marketing on social media, it is essential that you find your people - your ideal customers - the people who are talking about the things related to your product or service. This means stepping outside your current network and expanding your audience. Hashtags are the easiest way to search for a keyword, find the trends on each platform, and then join the conversation! Be Playful: #hashtaglikechiaseeds does not have a large conversation about this subject, but I am using this to make a point. I love hashtags that are funny or ironic. Use hashtags to answer your own question or add commentary. It adds to your voice and online personality. Be Functional: Make your own hashtag as your company name, product quality, or a special event that you can use on all your photos, and encourage other people to use when they want to engage with you. Follow an event! Is there an upcoming event that you are attending, or that your ideal clients will be attending? Look up the event hashtag and follow it on all platforms of social media. Talk about your products! Create a hashtag for people to use when they want to talk to you about your product or service. You can create the hashtag and encourage other to use it after purchasing. Find people in your area. For location-based/brick and mortar business, use hashtags of your city or region to find people near you that might be interested in stopping by to shop. Holidays or Sales! Having a discount? Let people know! Many people will search hashtags like #dailydeal #bogo #discountcode but be careful of the #free hashtag on the banned list! Banned Hashtags are hashtags on Instagram that will make ALL your hashtags invalid - look at this list of banned hashtags Don’t use any of these on Instagram! This may be a lot of information at first, but it will become natural once you start using it - let’s focus on one question… What is your goal in social media? Do you want to grow your audience? Do you want to find influencers to share your product or service? Do you want to sell a specific product? Knowing your goal, even a short-term goal on a weekly/monthly basis, will give you a direction to go in! Comment or message me with your specific goals and we can continue this conversation on what hashtags are best for you and how to measure success! What is the Why of your Brand? Storytelling is where it started for me. Before I got my degree in Psychology, I was studying at the Walter Cronkite School of Journalism at Arizona State University. I was drawn towards the juicy facts, the colorful and concise language, and the fast deadlines that came with reporting. I always wanted more… more details, longer interviews, I wanted to know why… so I switch over to Psychology so that I could uncover each unique “why” that gave depth to the stories I loved. From small-talk in trade shows, to lengthy Instagram comments; I love a good story. That is where the relationship starts, trust is built, and understanding achieved. Friendships, client relationships, customers, and networking with colleges all start the same way.